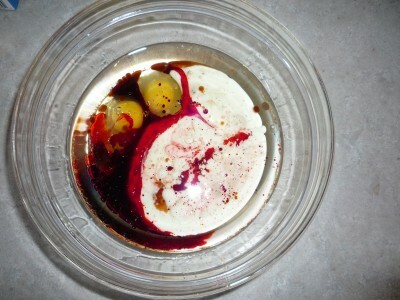 By hungry runner on January 12th, 2010 . 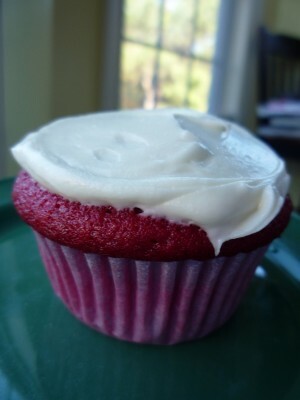 Filed under: Cupcake Ideas, Reviews . 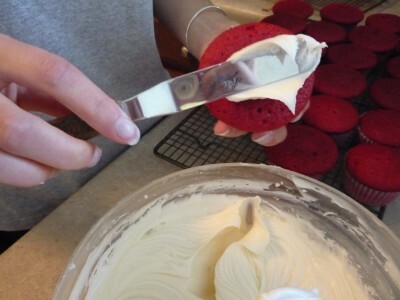 This weekend I made Red Velvet Cupcakes from Stefanie’s Red Velvet Cupcake Mix. 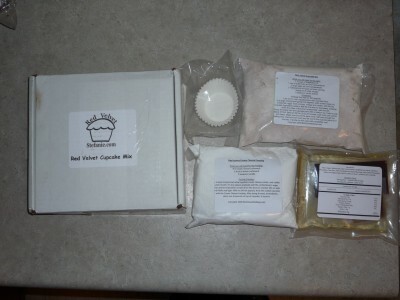 The package comes with just about everything you need to make the cupcakes, the cupcake liners are even included. 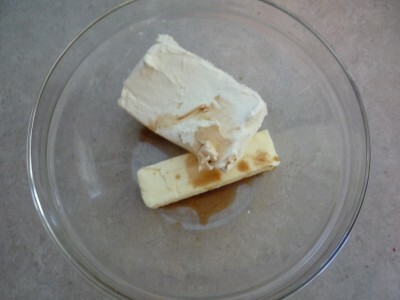 The ingredients you will have to purchase are the perishable items including, buttermilk, eggs, butter, cream cheese and any decorations. My roommate noted that better labeling on the included packets would be helpful since she is an inexperience baker and would have trouble distinguishing the vanilla, food coloring, oil and vinegar from one another. I noted that these ingredients are all combined at once so knowing which is which is not that important. 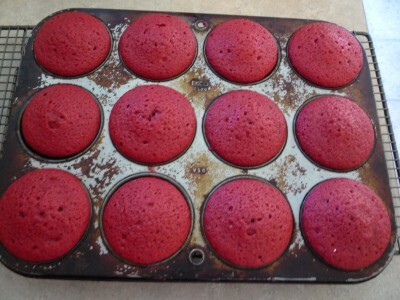 The cupcakes were really easy to make and came out perfectly. They were all uniform is size and had nice cupcake tops. 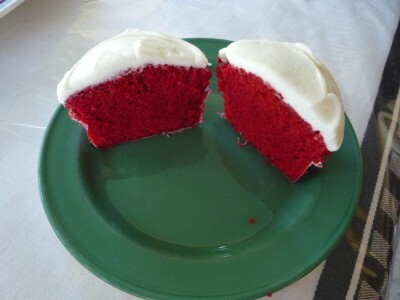 The cupcakes had true Red Velvet flavor and the frosting was just right, not too much cream cheese flavor and not too little. 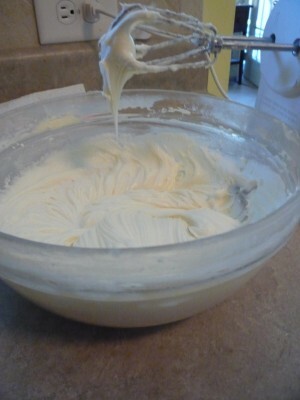 The frosting was also the perfect texture, not too runny but not too stiff. 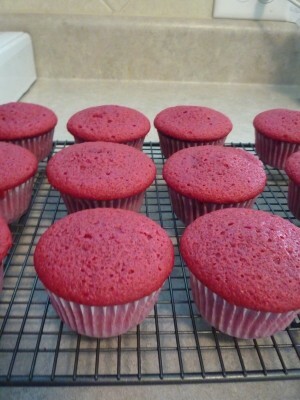 Similarly, the cupcakes had good texture, they were light and not dense. 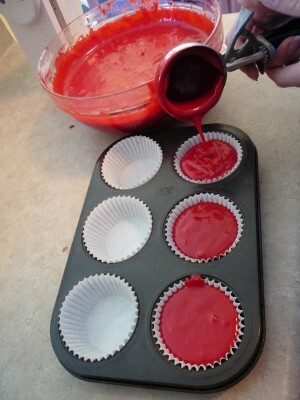 In case you can not tell from the pictures, the cupcakes also had amazing red color that remained, even after baking. LOVE the new review system! 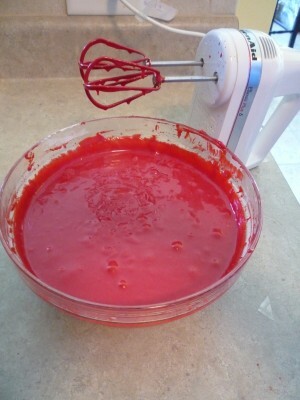 Thanks for the review, glad you liked my cupcake mix!!! 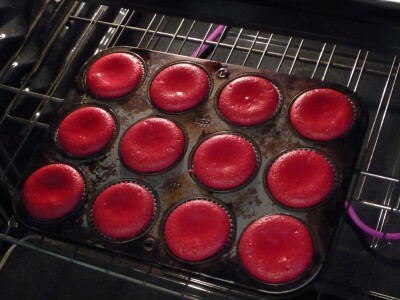 didn’t you go on cupcake wars on time?